After a year of political turbulence and the welcomed prospect of a SARS rejuvenation, the 2019 Annual Payroll Tax Seminar will bring you up to date and help you to comply with all the changes to employment-related legislation. Join payroll expert, Rob Cooper where he will guide you through all the changes in a morning seminar presented around the country in March and April 2019. Webinar Participation & Completion of the Online Assessment will secure 3.5 hours Verifiable Output CPD. 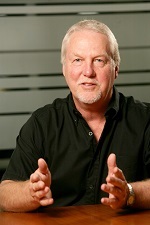 Rob Cooper completed his B.sc in Computer Science at the University of Pretoria in 1971. Many years of design and programming of various financial systems followed, including the development of payroll systems for different environments. He was one of the founders of Softline (1986) – now known as Sage – and spent many years developing world class payroll systems and taking the Sage business to new heights Over the last fifteen years, his focus has been on the numerous pieces of legislation that govern the employment and payroll industry and he is a respected expert, presenting at tax seminars and workshops. Proof of payment will be requested at registration, if payment does not reflect on SAIT`s bank account. Only written notice of cancellation will be recognized. SAIT`s liability in the case of an event being cancelled will be limited to a refund or credit of the event fee.